According to health experts, diabetes is a condition that prevents the body from properly using energy from food. It happens when the pancreas does not generate insulin. People may have heard about diabetes, but many have no idea what diabetes really is. Food that we eat is broken down in sugar or glucose. While quite a handful of health experts recommend not adding too much sugar in your diet, you do need it for your energy and metabolism. While your body is in the process of digestion, your cells are fed by glucose, and it needs insulin (made in your pancreas) to transfer blood sugar (to your cells). It starts getting bad once you have too much blood sugar compared to the amount of insulin your pancreas is pumping. When your body fails to produce insulin to keep pace with the sugar, or maybe if your body is having trouble producing insulin, the blood sugar just sits there which in time, causes your blood sugar levels to shoot up. You will develop diabetes if this continues. 1. Excessive and frequent urination – Excessive thirst and frequent urination is the early symptoms of diabetes. 2. Tiredness – Diabetics may feel tired or exhausted all the time. 3. 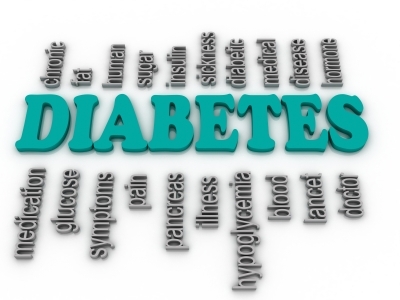 Injury or infection heal slowly – Infections occur more frequently because of diabetes. High blood sugar levels damage the body’s natural healing process and its ability to fight infection. 4. Weight loss – Diabetics may often feel hungry but they are losing weight. The body is working double time to process glucose from food consumed so it has to break down available energy sources such as fat. If you experience any or all of these symptoms, immediately consult with your physician. The earlier diabetes is detected, the sooner treatment can start. Remember to eat moderately and exercise to prevent diabetes. This entry was posted in Diseases and tagged diabetes, early signs of diabetes, things to know about diabetes on January 7, 2016 by Yami.